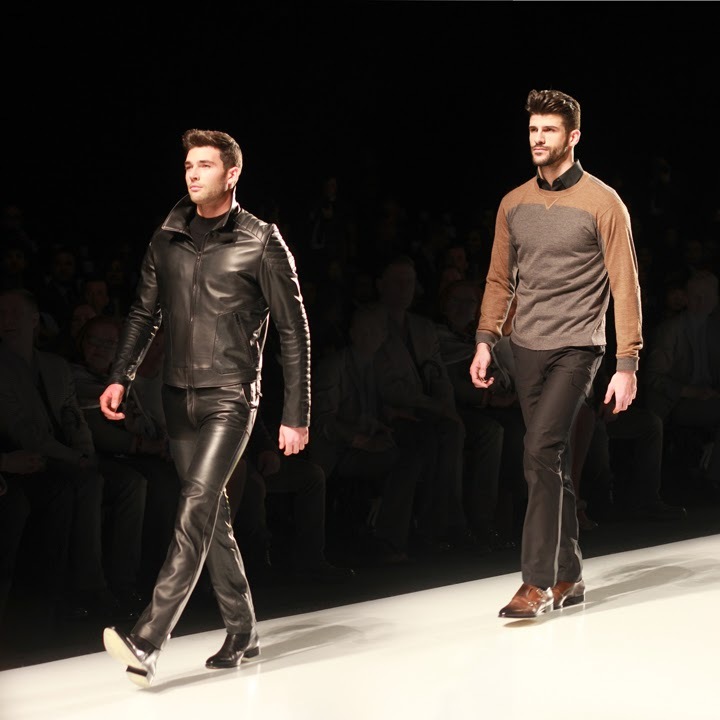 Christopher Bates Fall 2014 collection had some very classic looking menswear pieces that were right on spot for what menswear trends should be for the season. I loved the colour combinations to the designs of the jackets. Coincidentally I was wearing similar colours to the photos above. 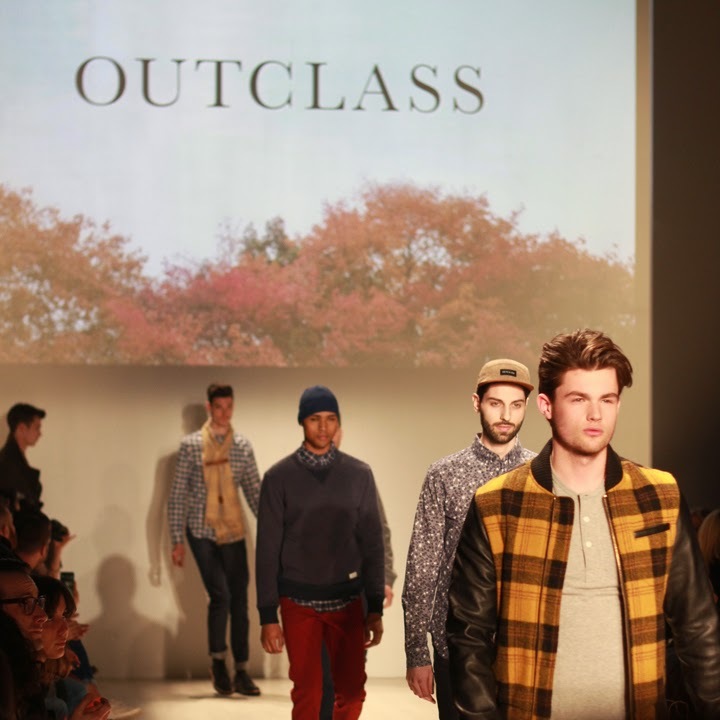 This collection by Outclass made me wish fall fashion was around the corner again. 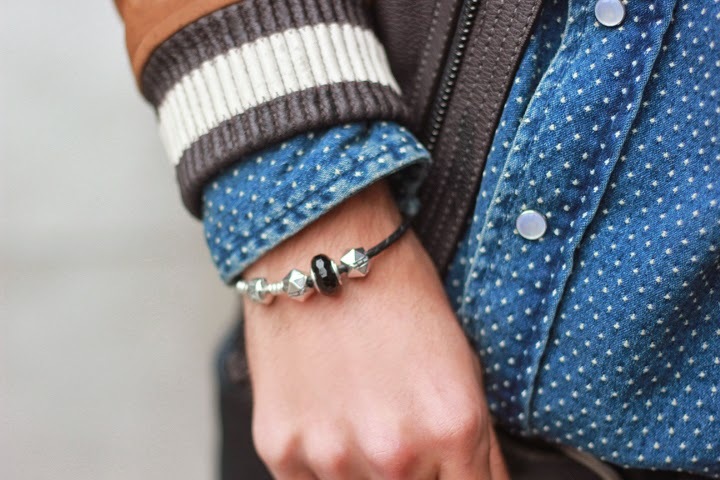 I absolutely loved the choice of plaids and colours and most of all the layering. 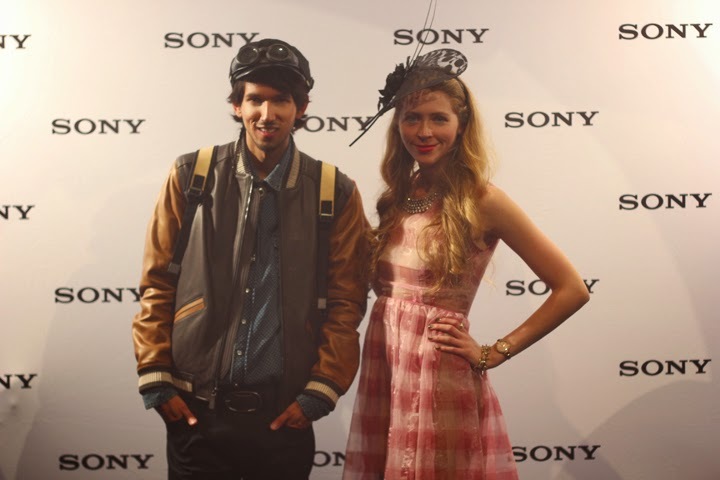 Most outfits were styled with very trendy hats and scarves as well. Pink Tartan had some really inventive and interesting pieces this season. 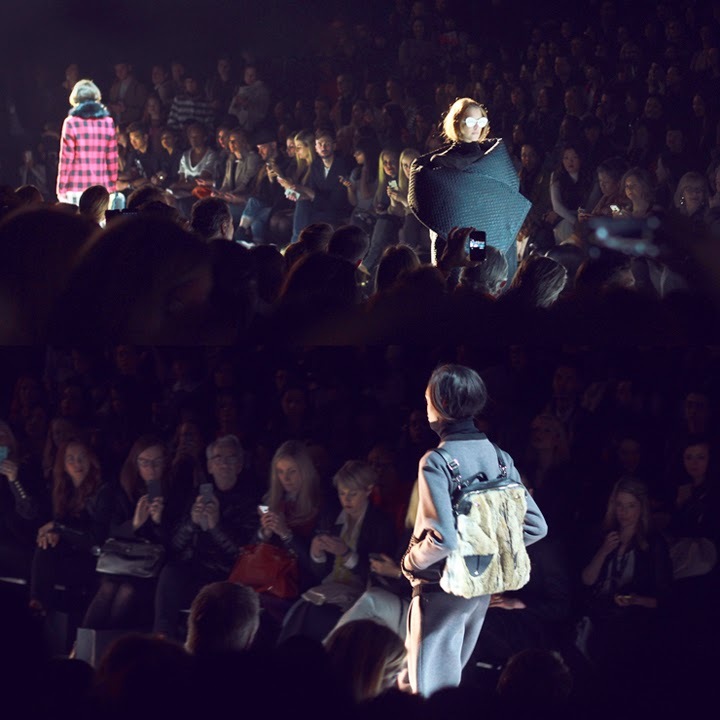 One of my favourites that I spotted was the fur backpack as seen above. I would love to get one for my own. Some of the sunglasses were also really unusual but of course I was really intrigued by them. 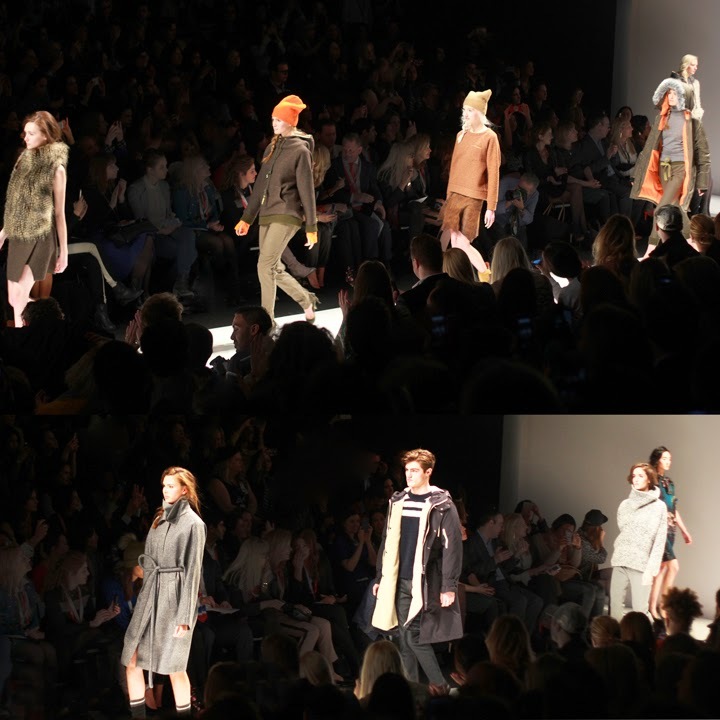 The Joe Fresh show started off with some signature orange pieces and ranged through a wide fall colour pallet from olives and navy blues. 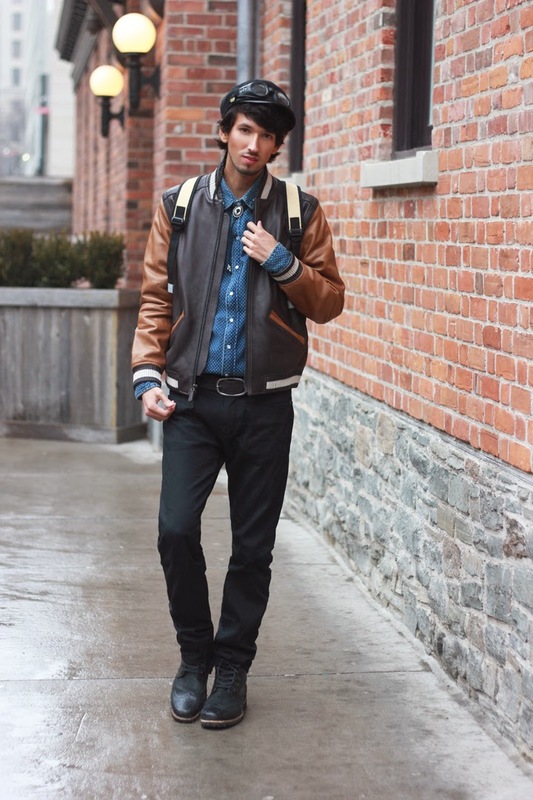 I loved some of the menswear jackets and scarves. The jackets seem to look oversized which will most definitely keep in the warmth. At the show I was also given a Joe Fresh beanie which I'm really excited to wear! Lastly is the Mackage show which was quite the performance collection. The show started with Fall's leaves scattered across the runway with some classic fall pieces and halfway through the show had two models sweep the leaves to the side while transitioning the mood to winter. Above are some of the ending pieces of the winter pieces. 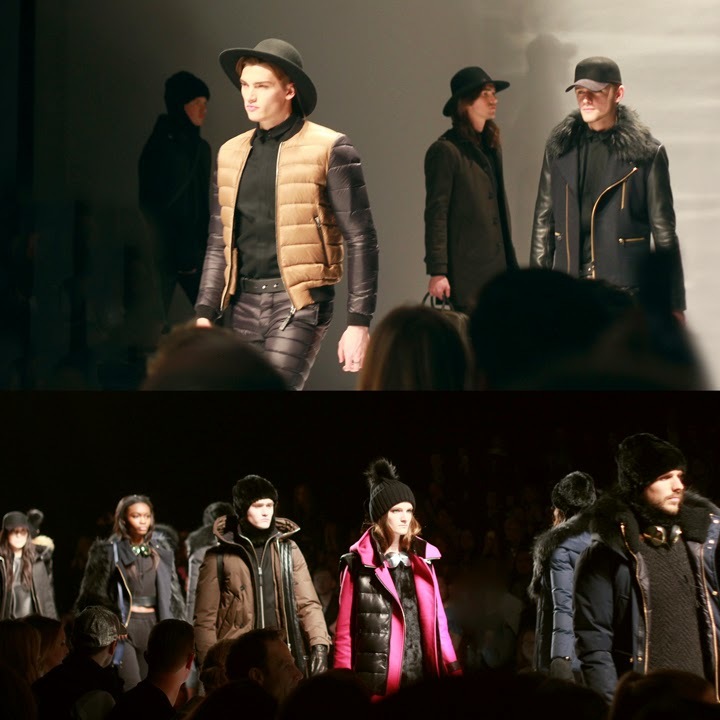 The quilted jackets and fur hats were seen of most of the models. Tres cool! 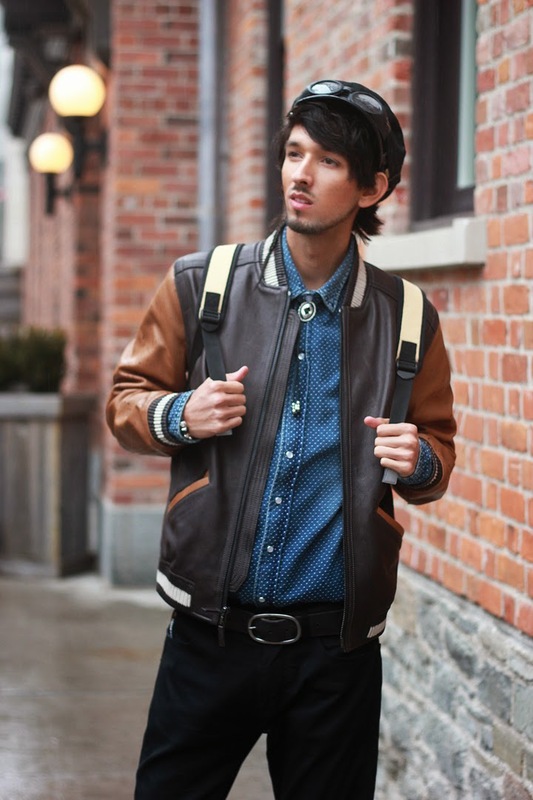 Love the bomber jacket, great post dude!! You look stylist as always!